Fimmvorduhals is situated in South Iceland between two glaciers, Eyjafjallajökull and Mýrdalsjökull, it was actually here that the Eyjafjallajökull volcano eruption began. This is wonderful hiking territory, hiking paths and trekking trails trace their pathways through the most amazing and spectacular mountain, glacier and volcanic landscapes. Good to know is that accommodation at mountain huts in this area MUST be booked in advance. What to wear and bring for the Fimmvorduhals Trail? Where to stay near Fimmvorduhals? 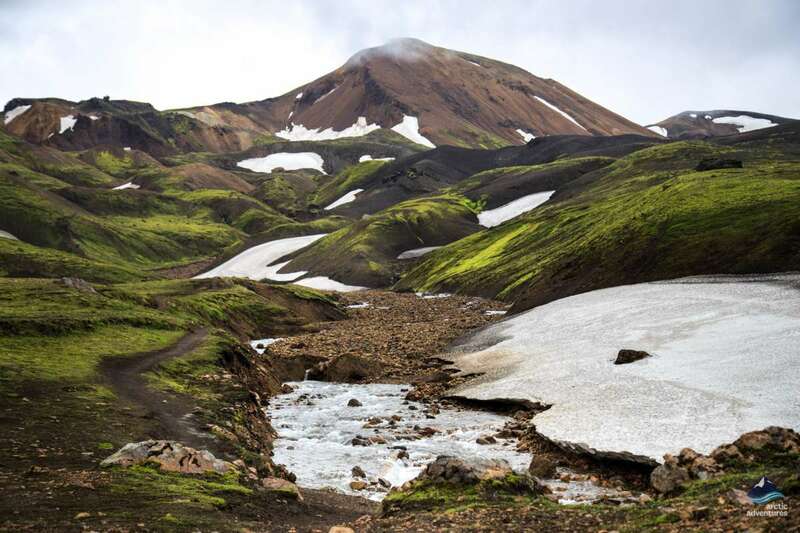 There is a well-known and very beautiful Fimmvörðuháls hike which connects Skógar on the south coast to Þórsmörk in the South Highlands. 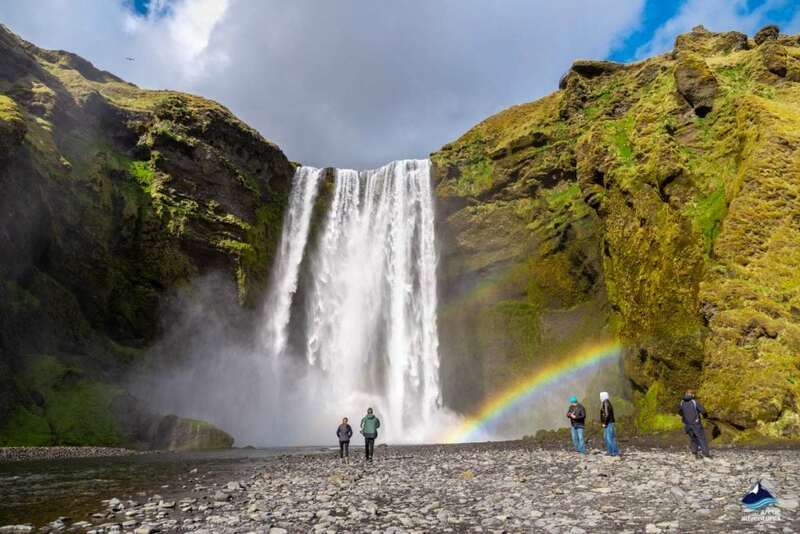 Along with its 22 km length, this trail climbs around 1000 m as it goes up above the majestic Skógafoss Waterfall, passing by many more exceptionally beautiful waterfalls before threading through the high pass at Fimmvörðuháls. The views are amazing with stunning scenery all the way. Goðahraun, the new lava field created by the Eyjafjalljökull eruption, with its two craters named after the Norse God Þór’s sons, Magni and Móði, can be found nearby. 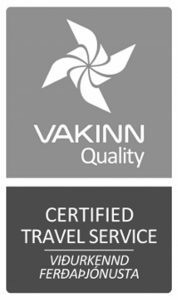 Why not take a day tour from Reykjavík? 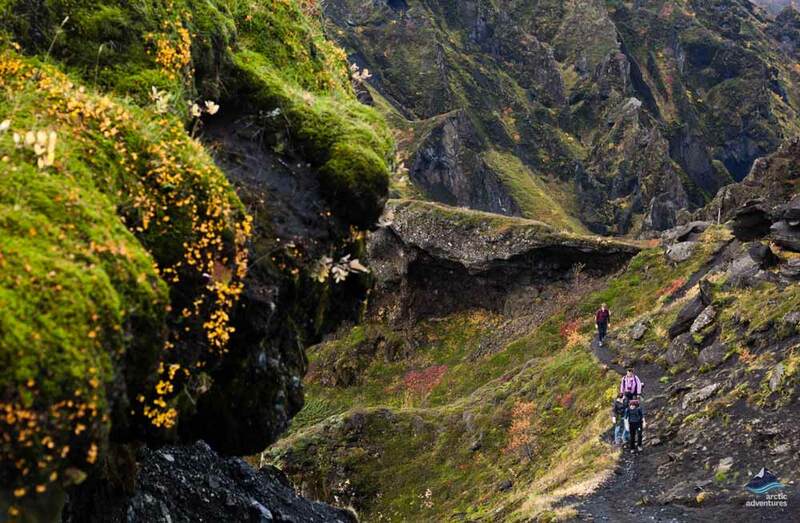 Our Þórsmörk Volcano Hike Tour offers you a magnificent opportunity to explore the Fimmvörðuháls region including Goðahraun and Magni and Móði. Over 14 km your footsteps will take you into some of the most stunning mountain scenery on earth, as you gain an elevation of around 800 m. This really is a very special opportunity which should not be missed by any outdoor or nature enthusiast. 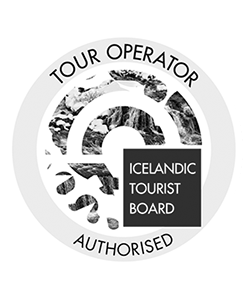 A Fimmvörðuháls hike or trek can easily be added onto another of our trekking tours. 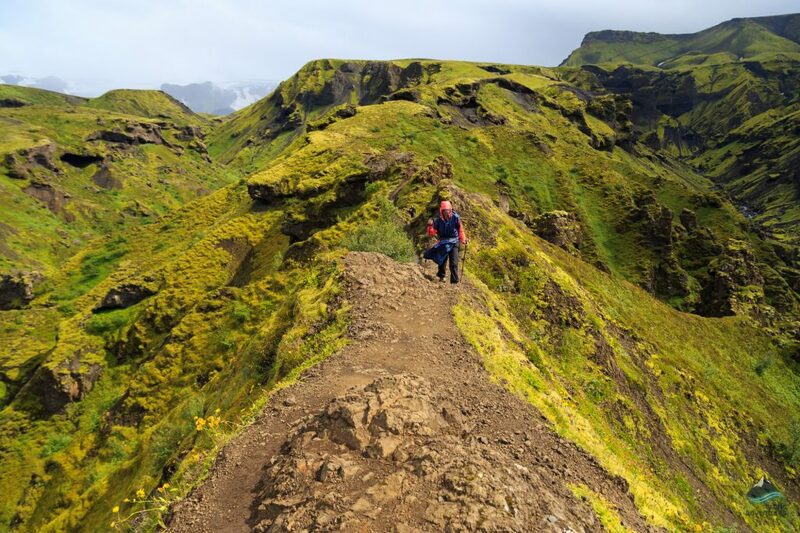 Many people who complete the famous Laugavegur trail choose a trek which includes the Fimmvörðuháls area. 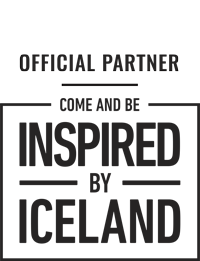 We organize everything and book your accommodation. Your luggage can be transported – you travel light with just the necessities you need for the day. Enjoy the trek of a lifetime! Fimmvorðuháls is the high mountain pass between the mountain glaciers, Eyjafjallajökull and Mýrdalsjökull best reached by a hiking trail. It can be viewed from the Ring Road from the South Coast. People usually start in Þórsmörk which is 151 km (93.8 mi) from Reykjavík. Rivers have to be crossed on the way to Þórsmörk so a 4×4 vehicle with river crossing insurance cover is required. Other interesting places nearby are the valley of Þórsmörk, Eyjafjallajökull, Mýrdalsjökull and the new volcano craters, Magni and Móði. You can visit Fimmvörðuháls on a few different tours; a day hike, a 2 day hike, or as an addition to the Laugavegur trail. There are two different ways to do the Fimmvorduhals hike. Here we will give an extensive and detailed description of the trails hopefully helping future hikers to see which trail version fits them better. This version of the hike is a day tour out from Reykjavík to Þórsmörk up to the Fimmvörðuháls pass. The hike is about 14 kilometers in total and invites you in a true visual adventure. It is an easier form of doing the trail and only takes about 12-14 hours with transfers to and from the city. 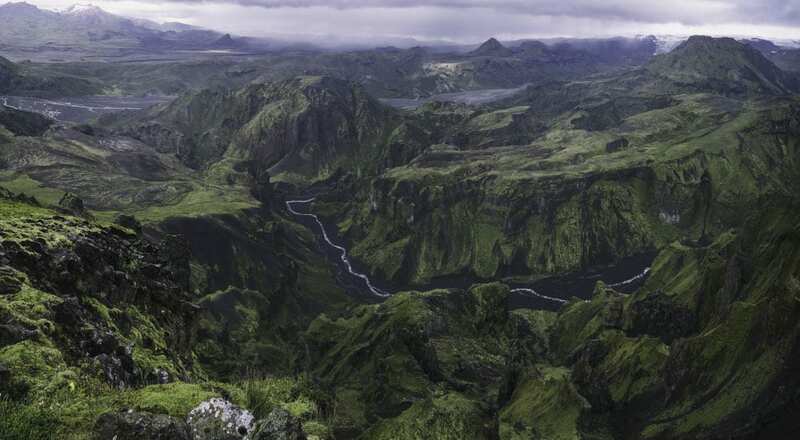 You start your hike in Þórsmörk valley named after the Norse thunder god who is believed to have struck down his hammer Mjölnir and formed the depression. 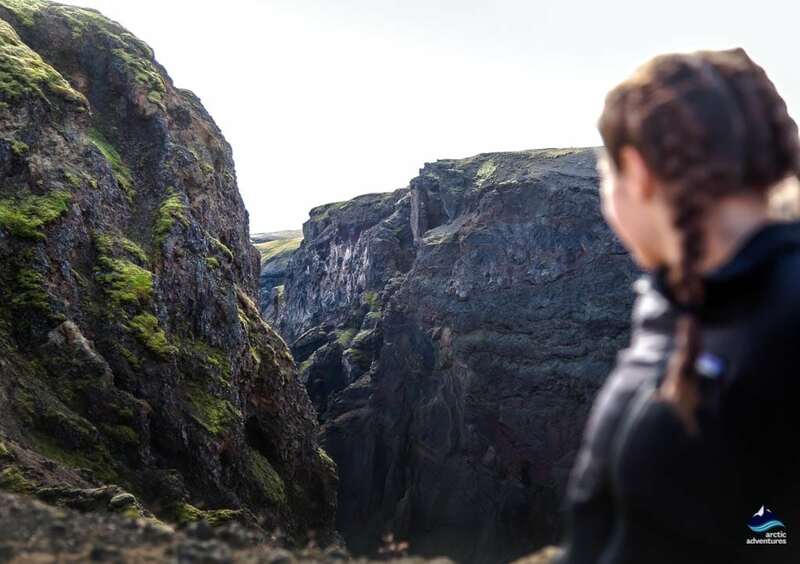 The hike will take you up from Básrar into the color green and black mountains slowly but gradually the black starts taking over the trail until you reach the volcanic sand wasteland of Goðahraun, Magni and Móði. The path is quite steep at the beginning, heading up the gully Strákagil and onwards to the mountain ridge of Kattahryggir which translates Cat’s Spine. The steep hills on each side of the ridge are often a bit of a challenge for those with vertigo but there are great chains and ropes to assist and keep you safe. Next we will descend to the heath Morinsheiði and relatively flat space which is welcomed after the steep way there. The views are excellent, reaching over Mýrdalsjökull and Gígjökull glaciers. Onwards we go reaching the actual Fimmvörðuháls pass and the newly formed volcanic craters Magni and Móði which formed in the famous Eyjafjallajökull eruption of 2010. 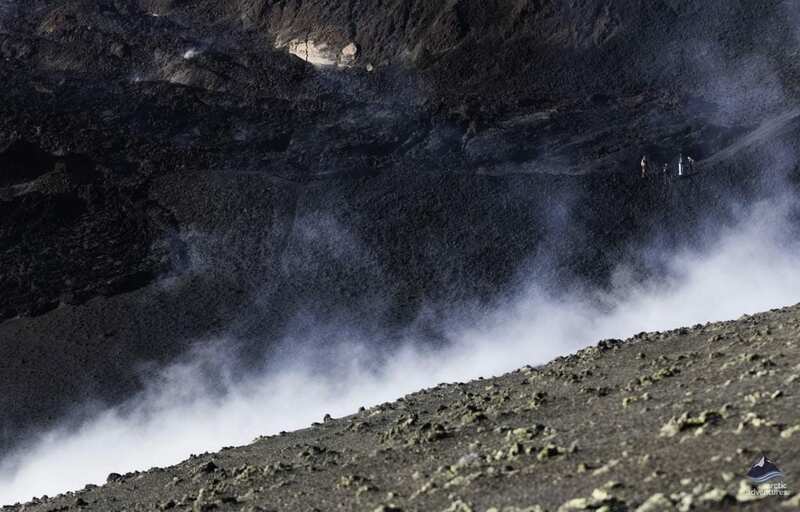 The experience of walking over a freshly recovered ground reformed in a volcanic eruption is something you will always remember, as you stand there surrounded with volcanoes and glaciers. On the way back into Þórsmörk the feeling is fairytale-like with as the greenhaven, you started your tour in will again surprise you with its beauty and charm. This is a 2-day version of the trail. 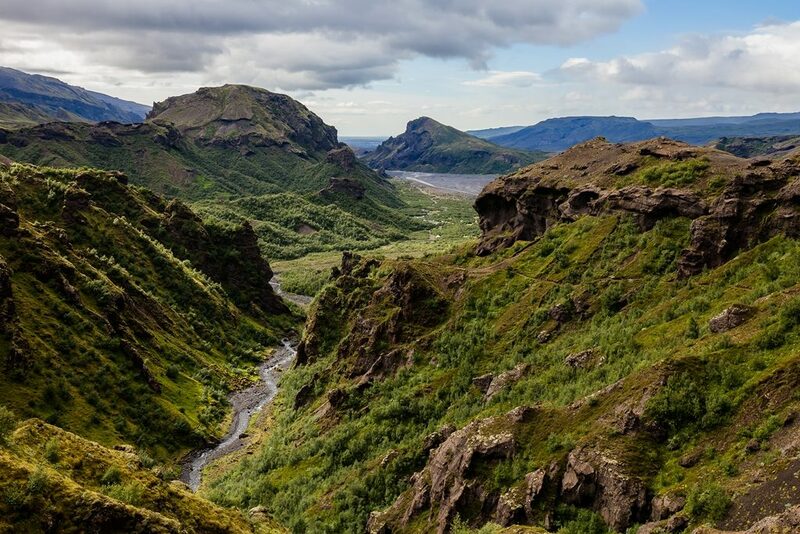 The path takes you from Skógar, home to the powerful Skógarfoss, up a trail tracing the river Skógá the source of the great waterfall. Along the path, you will encounter numerous other waterfalls and cascades some with quite hilarious and tongue-twisting names. Along the river you continue about 3-4 hours, 8 kilometers inwards to the highland following a trail that is by then well grounded and noticeable in the ground. Here we advise you to fill up your water bottle, not only because the river is the last trace of water for some time but also because it might just be the best drop of water you will ever taste. Then we cross the bridge over the river Skógá. From this point onwards most choose to take the path to Baldvinsskáli a little more than 4 kilometers away but alternatively, you can hike to another hut called Fimmvörðuskáli about 7 kilometers away following a staked path. 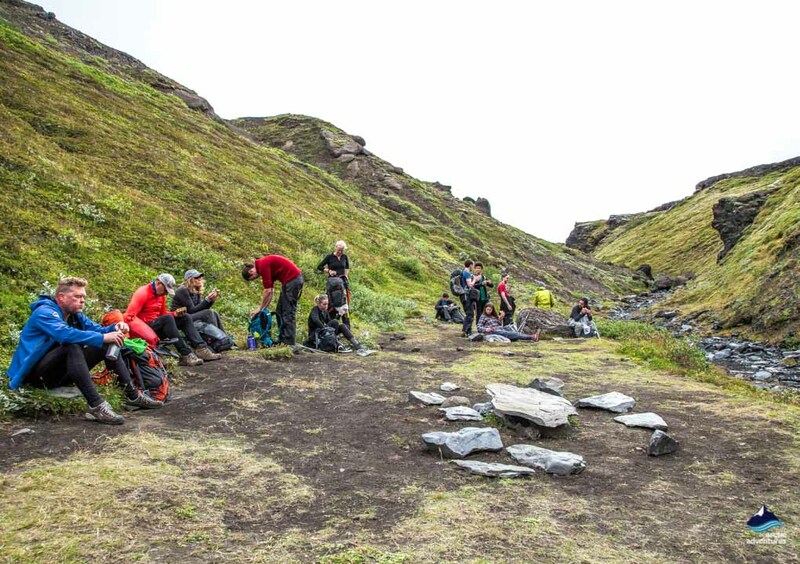 At Baldvinsskáli hut many like to make a stop to fill up their energy bar with a snack and a possible quick sit down. 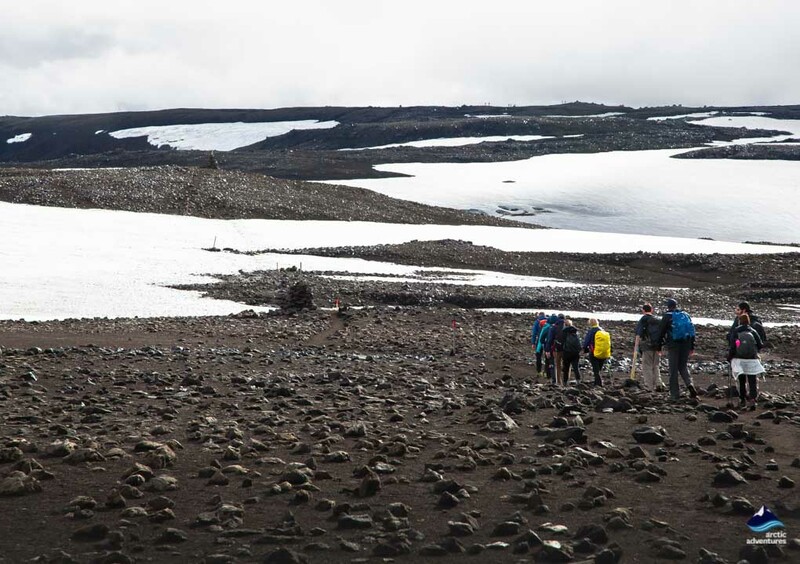 The path ahead, the actual Fimmvörðuháls, is mostly snow-covered throughout the summer season so this is where many like to take out their walking poles and have them assist in the crossing. After about a 3 kilometers hike you have reached the lava field Goðahraun e. The Lava Field of the Gods which was formed at the beginning of the Eyjafjallajökull eruption in 2010 which happened precisely at Fimmvörðuháls. 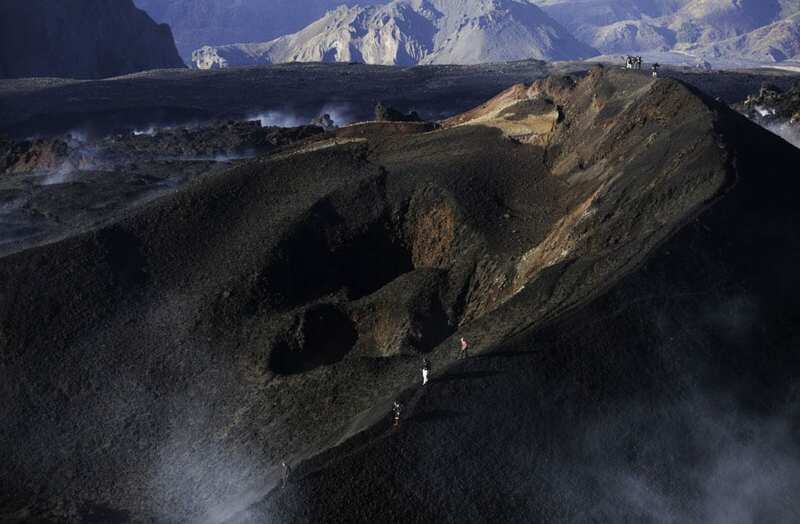 Two magnificent volcanic craters were created in the eruption as well, which were named after the Pagan thunder god’s sons Magni and Móði. It was thought fitting as the nearby valley Þórsmörk is the valley of Thor. A hike up to their peaks is surely a recommendation you can’t let pass. Soon you will start descending down from the Fimmvörðuháls mountain going down a steep hillside called Brattafönn. At this point you need to slow down the pace, walk carefully and if you have crampons or shoe snow grips for your shoes to put them on. This part of the trail is often quite slippery. Next up is the ridge Heljarkambur which connects the Fimmvörðuháls to Morinsheiði heath. There is a support chain to assist in with the crossing. The heath is flat and easy to cross and offers views you just can’t believe. 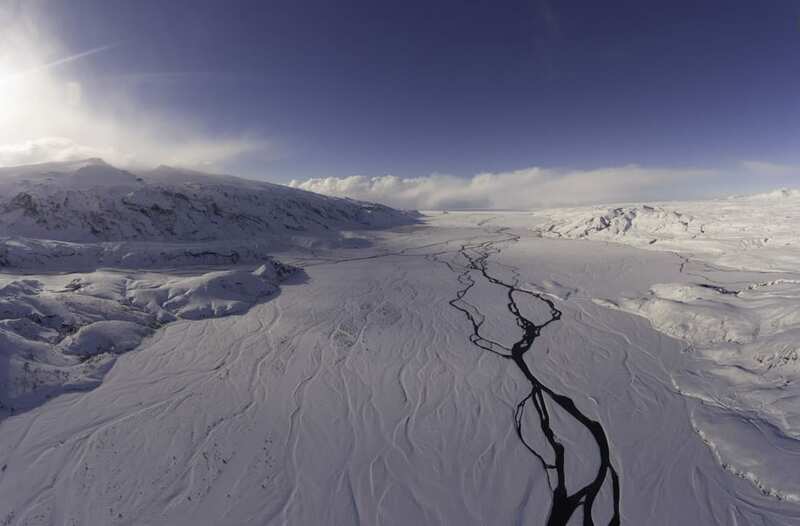 Over the glaciers Mýrdalsjökull which hosts the mighty volcano Katla and the ice cave under the volcano. Shortly after Kattahryggir e. The Cat’s Spine awaits us! This stunning mountain ridge isn’t only beautiful and magical but gives you the true sense as you just stepped into a scene from the Lord of the Rings. The steep path has been altered and improved in recent years with additional chains and stakes. 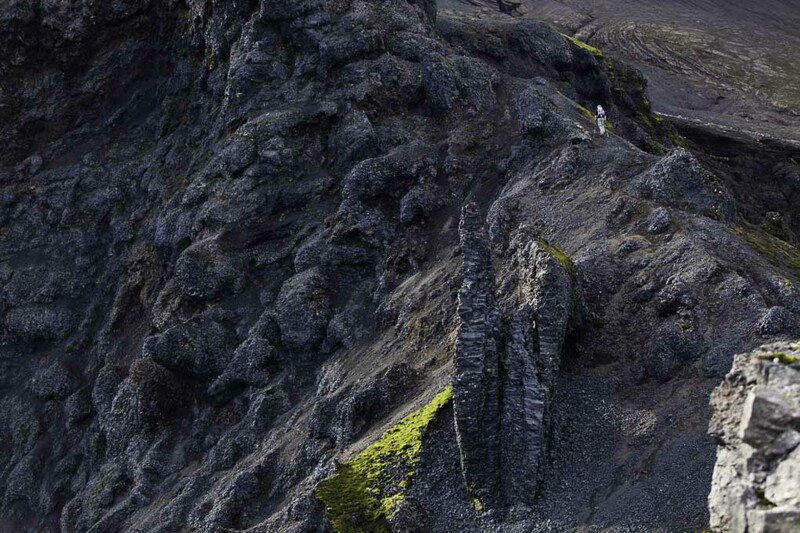 We continue our descent into the fertile gully Strákagil and which leads us into Þórsmörk. The valley is a green oasis which is very welcomed after a day of rugged landscapes, snow and black volcanic sand. This is where you will stay the night enjoying the tremendous tranquility and peace there is to be found in this zen paradise many describe as the most heavenly place best Iceland has to offer. 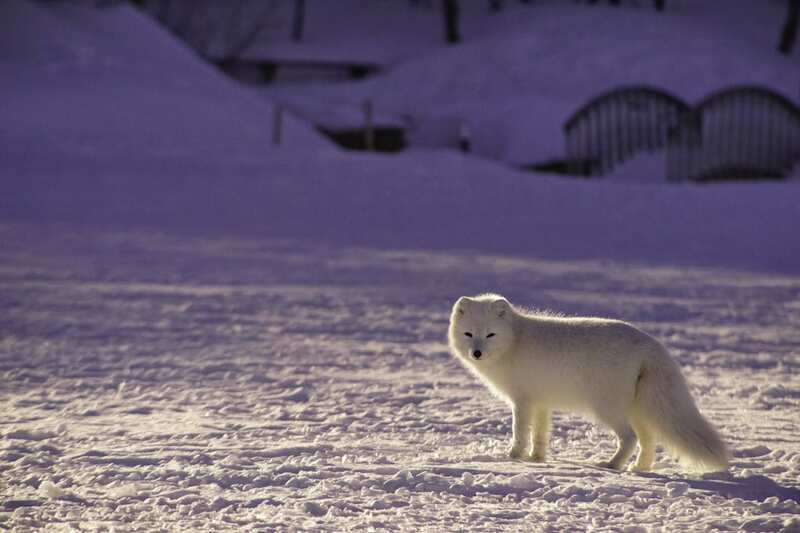 A lovely night menu is set with an authentic Icelandic lamb meal and good company in a dazzling setting. The day after is often occupied with delightful short walks around the lush valley. 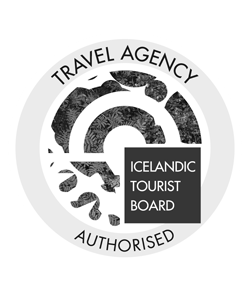 Regardless of your travel style in Iceland, you will always get the recommendation to dress in layers. The weather in Iceland changes change rapidly and often unexpectedly so you want to be prepared for anything. There is always a great change of strong winds, some rain and strong sunlight but then again the weather gods might bless the day and give you settled weather with mild breeze and sun. Dressing smart, in three light layers or more, is the key factor in feeling comfortable throughout the hike and being able to adapt to any changes. 1st Layer: a long-sleeved shirt and long johns preferably from wool or a thermal material. Avoid cotton, the most experienced hikers will say “cotton kills”. Good breathable socks. 2nd layer: the middle layer is to retain your body heat, keep in the natural warmth. It should be a down jacket or a fleece, not too heavy. Again no cotton. Sturdy and worn hiking shoes. 3rd Layer: Now come you windproofs. This is where you want to think about protection from wind and rain. Choose a breathable fabric, preferably of good quality, giving a good ventilation but still keeping your shielded from the weather that might come at you. You aren’t allowed to camp at any part of the actual trail. There is a hut called Baldvinsskáli midway through the pass but it is only for those staying in beds in the hut. The best camping options are in Þórsmörk. The camping accommodation at Langidalur is excellent. The hut right next to it has a good cooking facility with long tables and benches and in the hut, you can even find a small shop with a liquor license. Open from the 20th of May. 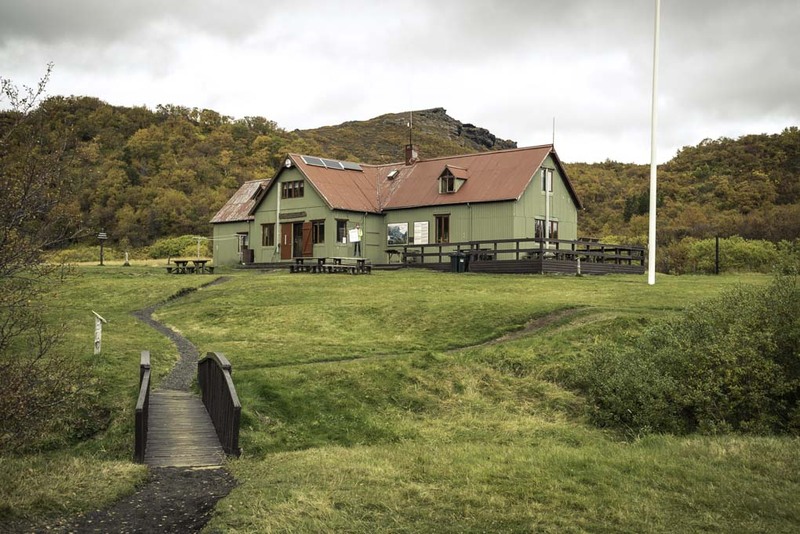 The camping site at Volcano Huts in Þórsmörk in Húsadalur is spacious and beautiful and offers great hiking trails all around. It is a little pricey 2600 ISK but offers access to regular facilities + a sauna and a natural warm pool. Open 1st of May to 31st of October. 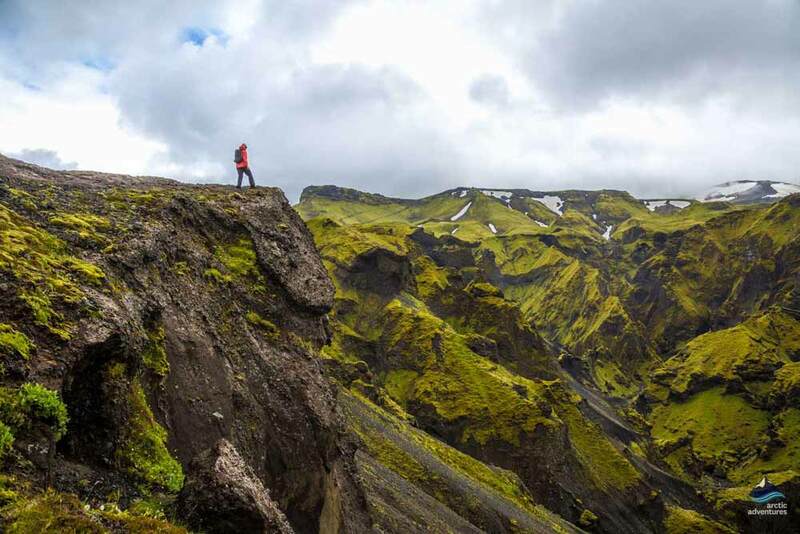 The camping ground at Slyppugil offers a grand view over Eyjafjallajökull and offers a great variety of hiking trails and other nature activities. It is only a 3 min walk from Langidalur. The price for the night is 1300 ISK per night and an extra 500 ISK for a shower. Open 1st of June to 31st of August. The camping ground at Básar is one of the older ones found Þórsmörk. The camping ground is close to the hut and the outdoor BBQ. The price for the night is 1500 ISK and an extra 500 ISK for a shower. The opening time is listed as “during summer”. Don’t expect it to be in full volcanic eruption mode. After the eruption in 2010 the area showed colossal damage and signs of heat and magma but now a few years later there isn’t any running red-hot lava or bursts of volcanic ash and smoke. The weather changes very quickly prepare for this in packing and dressing. This is true to Iceland in general but especially so when you have arrived in the highlands. The Fimmvörðuháls isn’t an easy hike. You will need to be in relatively good shape if you are looking to do the hike. You can fill up your water bottle a few times with fresh water from rivers on the way if you are doing the hike from Skógar, ask a guide or other hikers going in opposite directions when the water source stops. Camping in unmarked camping areas is actually illegal. 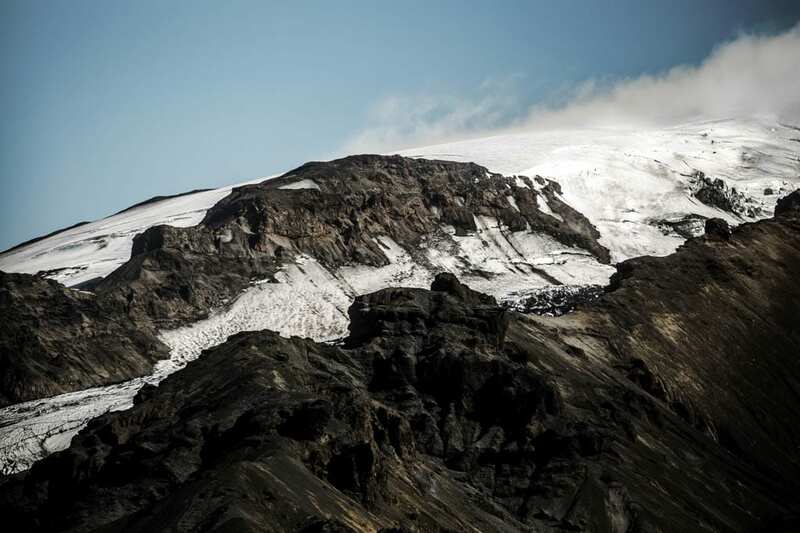 If you are planning to bring your tent to Fimmvörðuháls you might want to think again. Check out our camping report above for more info. Fimmvörðuháls is impassable in winter unless you have enormous super jeeps and great knowledge of winter highlands driving. There will be a warning issued from the Search and Rescue team almost daily and anyone looking to hike to trail should change their plan. Conclusion: You can join a Super Jeep Tour with an expert guide to get pretty close, mostly to Eyjafjallajökull but you can’t hike the trail.